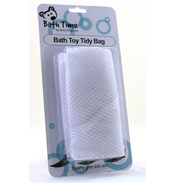 Keeping a baby soother clean can be difficult at the best of times. When a baby is very young he/she can easily pick up nasty bugs, so simply placing the soother in your handbag isn’t the best thing to do. 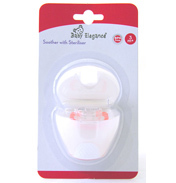 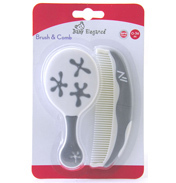 This Soother and Steriliser pack shows the ideal way of storing and carrying around with you. Place it in the handy BPA free plastic container to keep it safe, when it’s time for use simply pop it in the microwave for 30 seconds and the soother will be hygienically clean and ready to use.